I accidentally stumbled upon the perfect and most crowd-pleasing snack … one that anyone can make using their favorite spices and crunchy details. I learned to make pickles just last summer, and was pleasantly surprised at how easy it was to make a delicious pickle. Honestly I am constantly surprised when I learn how easy it is to make something from scratch instead of buying it packed with preservatives and salts (not the least of which are salad dressing, mustard, bacon and sauces), but this one still blew my mind. 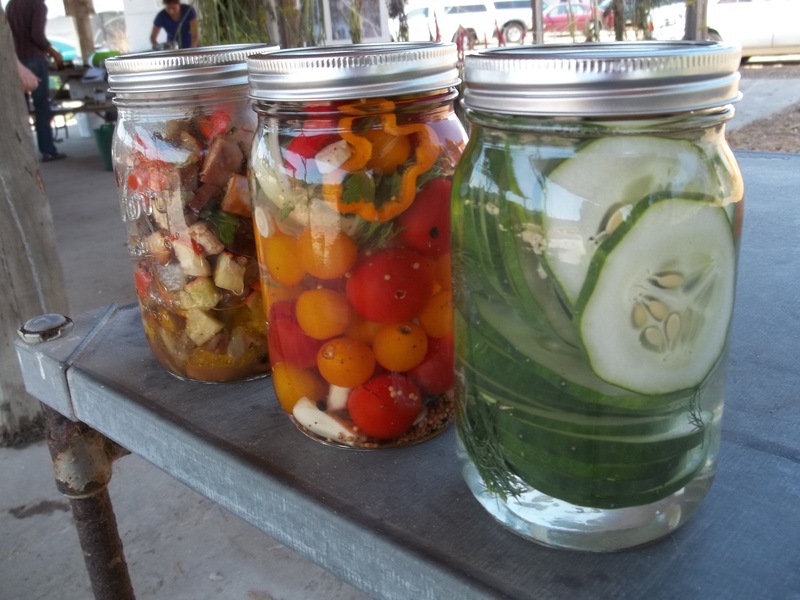 The principle is this: there’s a difference between pickling and preserving. Preserving entails freezing something or cooking and sealing it in such a way that means you can store it in a mason jar on a shelf for an indeterminate amount of time. If you want to make pickles that you seal in a mason jar and store on a shelf in your pantry or basement for months and/or years, you need to follow a specific recipe that creates a certain pH level and makes it safe for whatever vegetable you are canning to be sealed in a jar using either a hot water bath or a pressure canner. BUT … if you just want a jar of fresh pickles, that you’ll keep in the refrigerator and NOT store in a cupboard or pantry, you don’t need to worry about any of that. You can make your pickles as spicy, as vinegar-y, as sweet, or as herby as you like, using whatever vegetables you love the most. It’s really quite brilliant. From left, pickled eggplant, sweet peppery pickled cherry tomatoes and dill cucumber pickles. 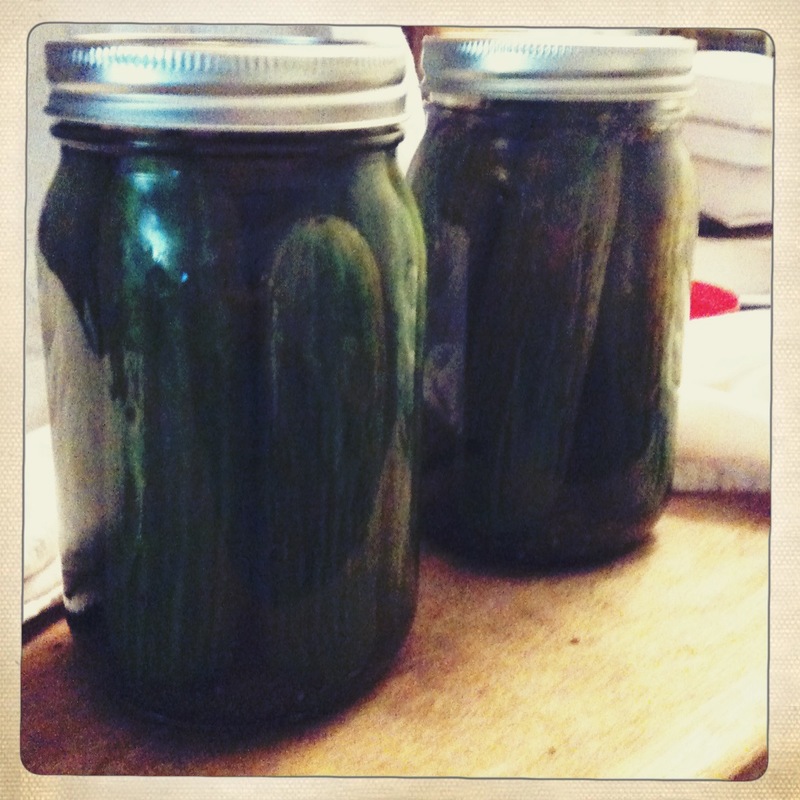 The results of my first hands-on pickling class. For this recipe, I used some lovely whole baby cucumbers, with one end trimmed ever so slightly to fit four of them into a quart-sized wide mouth jar. The only thing you need to keep in mind is the time … refrigerator pickles take a long time to get their full flavor, particularly when the flavor needs to permeate a whole cucumber of a slice of one. I let these sit in the fridge for over 2 months before I sliced and pickled them. Make the pickles according to your own tastes, but for me, it’s sweet and dilly. Stuff a mason jar with four baby cucumbers, a clove of thinly sliced garlic, and one tablespoon each of kosher salt, whole peppercorns and dried dill. Then I brought two cups white vinegar, two cups water, and one cup sugar to a boil (just enough to dissolve the sugar and bring it to a rolling boil), and pour it directly into the mason jar. Once the jar is cool, refrigerate it until you’re ready to use the pickles. I cannot stress enough the degree to which the flavors of this pickle are all up to you. Add peppers or even jalapenos. Add extra garlic to spice it up, or extra sugar (even honey) to make it sweeter. Maybe use red wine vinegar or apple cider vinegar for a different depth of flavor, or omit the vinegar altogether and pickle your cukes in nothing but water and salt, if that’s the way you like to eat a cucumber. It’s all up to you. Then, we fry them. Fried pickles are a staple at many southern restaurants, and during my time in Tennessee and Texas, I had fried pickles a few times (not to mention a myriad of other fried things), and honestly I didn’t care for them very much … mostly because I really didn’t like pickles in any form. Now that my tastes are progressing, and now that I can make my own pickle just the way I like it, my chances of loving these little fried bits of goodness grow exponentially. Now comes the fun part! You can take this custom-made pickle and make it into the most crowd-pleasing snack ever. The only tools you need are a serrated knife (seriously) and a pan for frying. 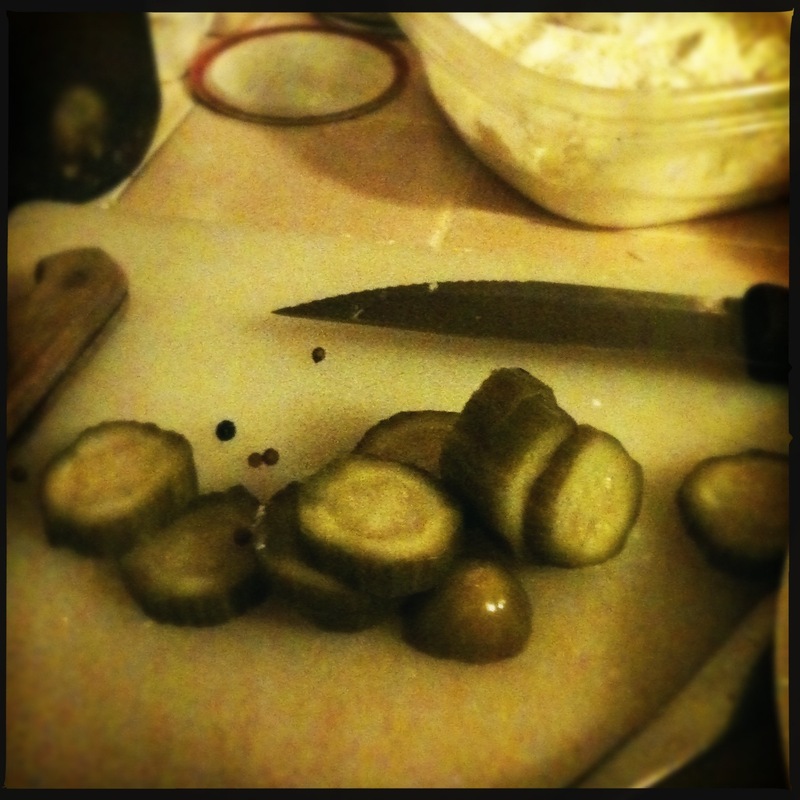 Heat your oil and slice your pickles using a serrated knife. Those ridges will help the crispy goodness to stick to your pickle during the frying process. While your vegetable oil is heating, prepare a bowl of egg wash (eggs beaten with a little water) and a dish of flour and of your favorite crispy coating. 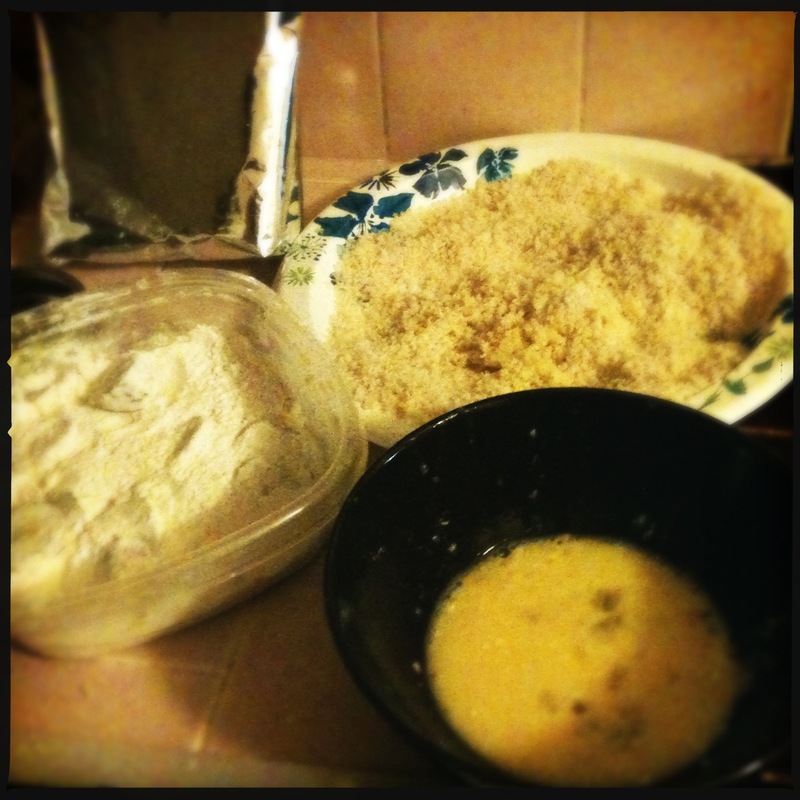 I used panko crumbs, but you can use any seasoned or unseasoned breadcrumbs, corn meal … hell, use Doritos or corn flakes if that’s what blows your hair back. 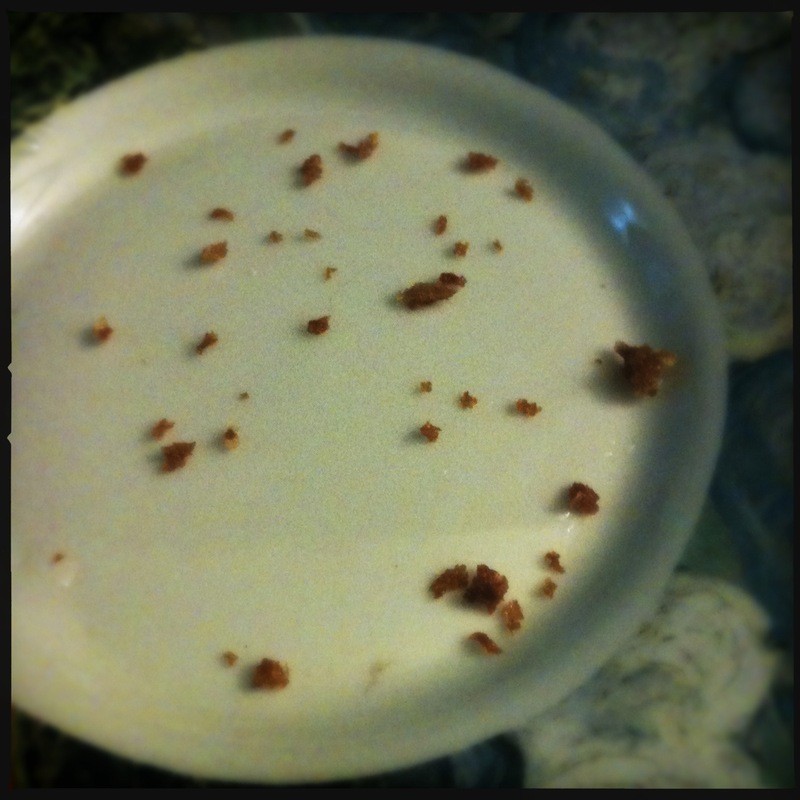 Coat each slice in flour, then dip in egg, then coat in the crispy crumbs, then drop into the oil. Cook for about a minute on each side or until they are golden brown. I like to serve these with a little bowl of mayo mixed with a few tablespoons of the brine from the pickle jar. It’s amazing, but honestly, you don’t need a dip. 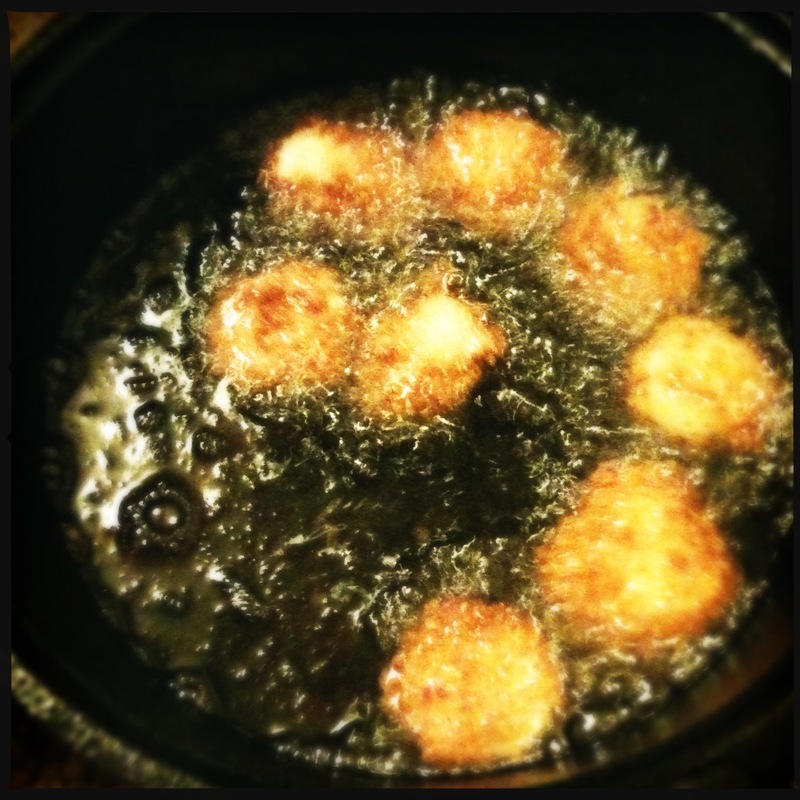 Eat them quickly – they’re best when freshly fried. 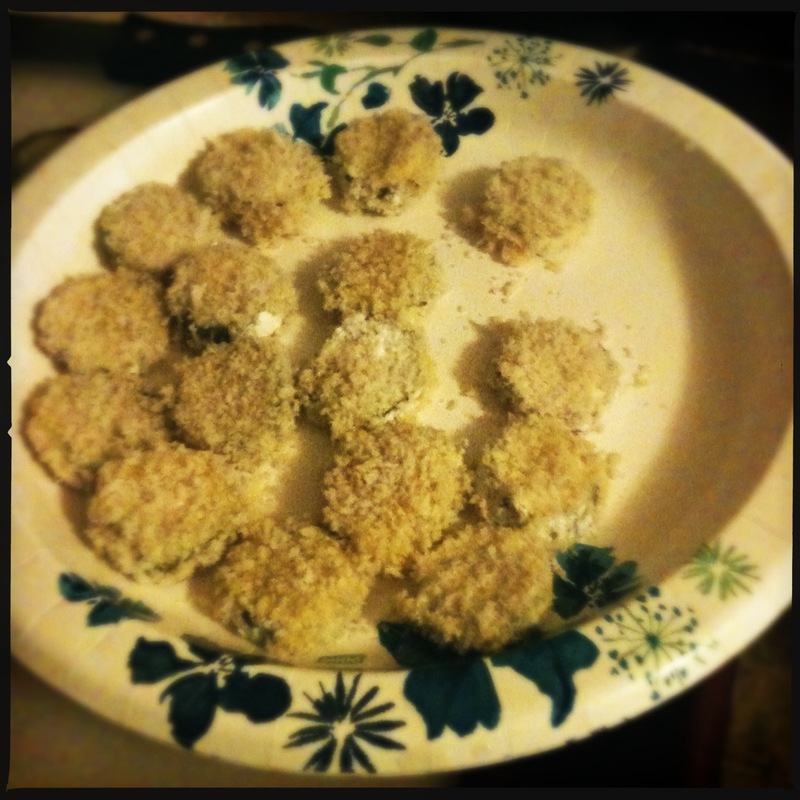 I almost forgot to take pictures first, and this was very nearly my best photo of the fried pickle project. 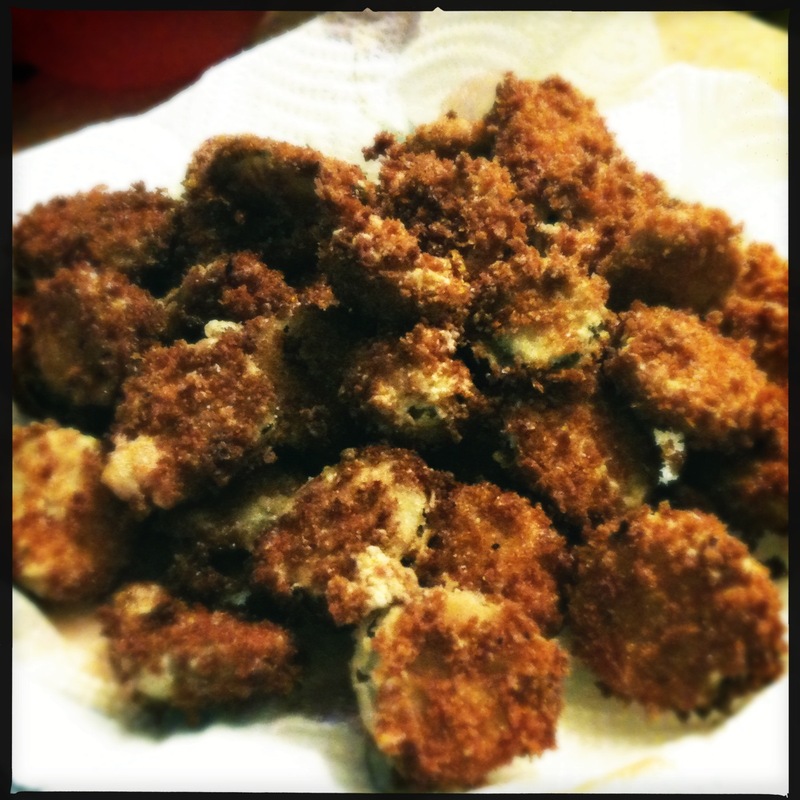 This entry was posted in canning, condiments, cooking, food, pickles, preserving, Uncategorized and tagged easy pickle recipe, fried pickles, pickle chips, refrigerator pickles. Bookmark the permalink.